I've talked about the health benefits and other importantthings you need to know about US Potatoes. 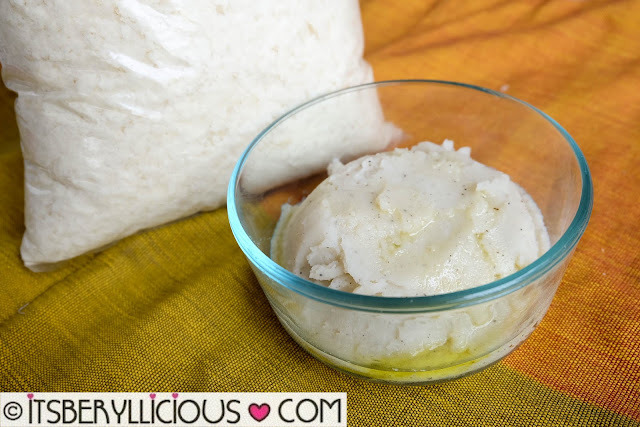 Now, I would like to share a simple US potato recipe that you can easily make at home. A few months ago, I came up with a healthy vegetarianpoutine recipe, using frozen US potato crinkle-cut fries. This time, I decided to use US Dehydrated Potatoes. US dehydrated potatoes are high-quality US potatoes, with their water content removed. US dehydrated potato products deliver all the flavor, nutrition and versatility of potatoes in a more convenient package. Using US dehydrated potatoes saves time and money as you can do away with the process of washing, peeling, and boiling potatoes. Plus, US dehydrated potatoes have a longer shelf life that can last for up to two years. 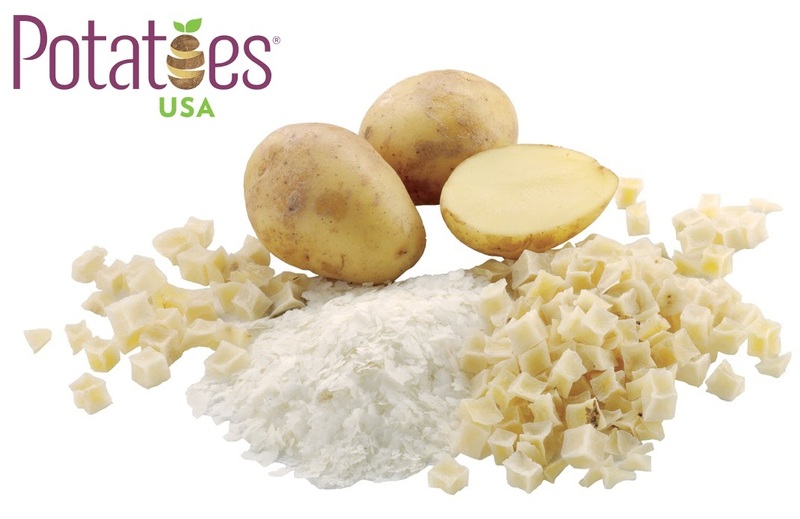 There are different types of dehydrated potato products that the US potato industry produces. Some of which are potato dices, slices, shreds, flakes, granules and flour. Standard potato flakes are among the most common types available in the local market. They are made from premium US potatoes, with bright white color, and when reconstituted, have the dry, mealy texture and delicious flavor typical of freshly cooked mashed potatoes. 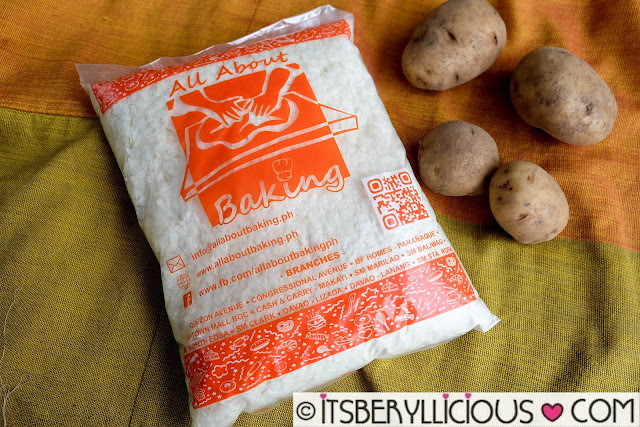 For this recipe, I bought a pack of US dehydrated potato flakes at our nearby baking supplies depot. The first step in creating this recipe is to turn these US dehydrated potato flakes into mashed potatoes. 1. In a pot, heat water to boiling, then add butter, salt and pepper. 3. Slowly add potato flakes and stir gently until mixture becomes smooth and creamy. 4. Let it sit to cool and thicken, then set aside. 1. Take the bowl of pre-cooked mashed potatoes and mix in tomatoes, spring onions, and cheese. 3. Lay a sheet of wonton wrapper and place a fair amount of mashed potato mixture. 5. Do the same for the remaining wrappers and mashed potato mixture. 6. Deep fry the wontons in a pot with cooking oil for about 3-4 minutes. 7. Drain the wontons thoroughly then serve on a plate. 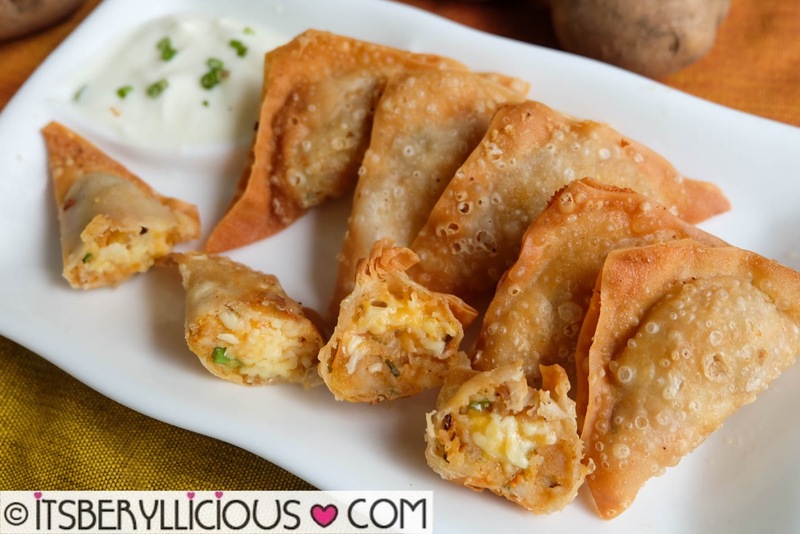 This recipe reminds me so much of samosa, only with thinner and crispier wrapper. 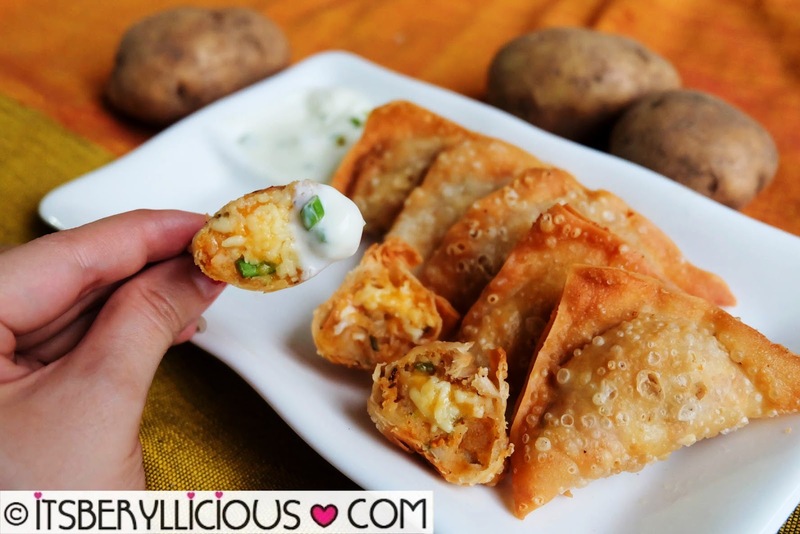 This is a great starter to serve during parties or family dinners. I love how the ingredients blend well together without the spices overpowering the taste of US potatoes. Check out Potatoes USA Philippines Facebook Page for more information about US Potatoes, plus quick and easy recipes you can recreate at home.